Sharekhan Brokerage is one of the premium ones in the stockbroking space in India. In this detailed review, we will have a look at the brokerage charged by Sharekhan across different trading segments. 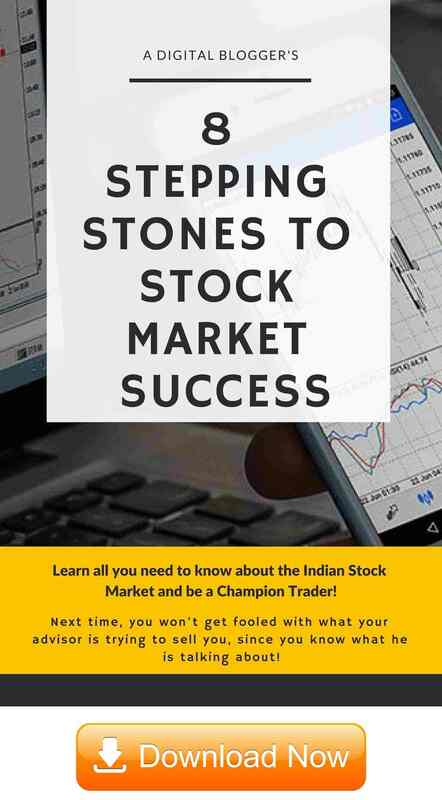 Sharekhan is a premium full-service stockbroker in India that charges one of the highest brokerage charges across different trading segments if offers to you. With brokerage houses such as Sharekhan, it really depends on the kind of initial deposit you provide to the broker. The brokerage charges are high if your initial deposit is low and at the same time, if you start with a relatively higher initial margin, then you get to pay much lesser brokerage charges on your trade. 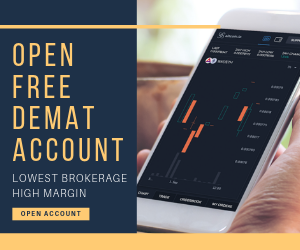 In this detailed article, we will talk at length about all the charges levied by this full-service stockbroker on your trades along with discussing any other charges that are levied directly or indirectly while you trade on the stock market. Understanding these details will help you to stay away from any surprises you might find yourself in later on. Important Note – The brokerage charges mentioned below are subject to the initial deposit and your negotiation skills. Although the ones mentioned are standard in nature but you may get a better (read lower) brokerage rate based on your discussion with the broker executive. If you are someone who buys a stock on Day 1 and sells it one some other day (maybe next day, next month, next year etc), then you trade at Delivery level. For such trades of yours, Sharekhan charges 0.5% of your trade value as brokerage. In other words, if you trade for let’s say, ₹1 Lakh, then 0.5% of that value i.e. ₹500 will be charged as brokerage only. From an overall stock market perspective, these are pretty high brokerage charges. Feel free to check this Sharekhan Brokerage Calculator for the complete understanding of charges on Equity Delivery trades. Following from example mentioned in the above segment, if you buy and sell the stocks within the same trading day, then it is termed as intra-day trading and Sharekhan will be charging you 0.1% of your trade value, in that case, as brokerage charges. In other words, for a trade of ₹1 Lakh, you will be paying ₹100 as brokerage to the stockbroker. Feel free to check this Sharekhan Brokerage Calculator for the complete understanding of charges on Equity Intraday Trades. Some people prefer trading in the derivatives segment. 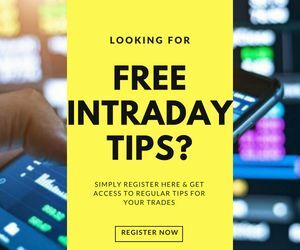 Within derivatives, you can be trading in Futures or Options and thus, it is required that you keep a close eye on what you end up paying to your stockbroker. In case of Sharekhan Equity Futures trading, you will be charged 0.1% on your first leg of trades. In case you exit off the trade within the same day, you will be required to pay 0.02% of your trade value for the second leg. However, if you keep sticking to the stock and fail to exit on the same day, the second leg brokerage will jump to 0.1%. Brokerage 0.1% on the first leg and 0.02% on the second leg if squared off on the same day and 0.1% if squared off on any other day. Feel free to check this Sharekhan Brokerage Calculator for the complete understanding of charges on Equity futures trades. Important Note: Sharekhan is one of the premium stockbrokers in India and provides reasonable services across research and customer support. Thus, charges pretty high brokerage charges across trading segments. If you are looking for an economical option, you may want to check this article on Lowest Brokerage Charges in India. Feel free to check this Sharekhan Brokerage Calculator for the complete understanding of charges on Equity Options trades. You can trade in Derivatives within Currency segment as well. Here, like Equity Intra-day, you will be charged 0.1% of your trade value as brokerage. Feel free to check this Sharekhan Brokerage Calculator for the complete understanding of charges on Currency Futures trades. Similarly, you can do some quick maths and understand the kind of brokerage you will be paying to this full-service stockbroker when you trade in Currency Options segment. You may also choose to check this Sharekhan Brokerage Calculator for the complete understanding of charges on Currency Options trades. Feel free to check this Sharekhan Brokerage Calculator for the complete understanding of charges on Commodity trades. Apart from the direct brokerage plans, Sharekhan offers you a couple of specific plans based on the initial deposit you provide to the broker. Within such a set-up, there is a further segregation that allows you to pick a brokerage rate with a direct correlation with the initial margin. First up, there is Sharekhan Prepaid brokerage plan, where you buy a subscription to the Sharekhan Account at a specific rate and get the brokerage rates depending on the amount you pay upfront. It does not matter what initial margin you provide under this plan. The brokerage is dependent only on the fact that how much-prepaid amount you end up paying. Understand this, the amount you pay under the prepaid plan is NON-REFUNDABLE in nature. In other words, whatever you pay under this plan, you will not get it back. But your brokerage will stay the same as long as your account is active with Sharekhan. If you pay ₹1,000 as the prepaid amount, you will pay 0.45% brokerage rate for delivery trades (as opposed to the default 0.50%, like mentioned above) with a similar drop in brokerage charges in other segments as well. On the same note, if you make an upfront payment of ₹18,000 – your brokerage will drop down to 0.20% of your trade value for Equity delivery. But again, the values you are paying upfront under this plan are non-refundable. It is advised to go for this plan ONLY if you wish to trade on a regular basis in the stock market. It does not make sense to pay up a non-refundable amount and then trade with low or no frequency. Unlike paying an upfront amount for the pre-paid plan, here in the post-paid plan, things are pretty conventional. Here you just deposit an initial margin amount and you will see a corresponding decline in the brokerage rate as long as you keep going higher with the initial deposit. The money you deposit under this plan is 100% refundable and you can use that money in your trades on the stock market. To understand this plan, let’s take a couple of examples. For instance, if you pay an initial deposit of ₹25,000 – you get the default brokerage of 0.5% on delivery trades. Then, if you take this deposit to ₹1,00,000 – the brokerage drops dead to half its value to 0.25% on delivery. Nonetheless, it all depends on your investment goals and budget. Our suggestion is simple on this! If you are sure that you want to put an X amount in your stock market investment in the coming near future, then it is better to take up the postpaid plan and get a better rate. However, if you wish to trade in smaller chunks after every few months, then no need to deposit a high margin.